UFC 206 Predictions: Will Failed Weight Cut Doom Anthony Pettis? Despite a seemingly never-ending run of problems that make the vent seem somewhat doomed, tomorrow night (Dec. 10, 2016) the UFC will go forward with UFC 206 from the Air Canada Centre in Toronto. The card was supposed to feature the long-awaited return of former welterweight champ Georges St-Pierre, but those plans hit a snag when negotiations with the UFC’s new ownership stalled. Then, Daniel Cormier was forced out of his replacement main event light heavyweight title bout versus Anthony Johnson with a groin injury. The UFC then decided to strip Conor McGregor of the featherweight belt he never defended to create an interim championship for the card’s original Max Holloway vs. Anthony Pettis co-main, which became the main event on short notice, but even that fell apart when “Showtime” badly missed weight today. Confused? No one can blame you. But UFC 206 will still roll on with only Holloway being able to win the interim featherweight championship and Donald Cerrone meeting Matt Brown in an exciting welterweight co-main event. Rise above the mess and find out who we picked to win at UFC 206 right here. 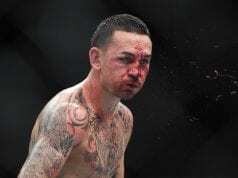 It’s the wrong fight to have that playing against him, because Holloway has looked like nothing less than a destroyer during his nine-fight win streak that should probably already see him meeting Jose Aldo for the true belt. Pettis can end any fight in a flash, but I think his health will hold him back here against the lengthy, accurate striking of Holloway. I have to pick Holloway by decision. Tough call for me at the top of UFC 206, as both Holloway and Pettis have the tools to finish each other. Where I feel this fight is tipped in the balance is in the striking, and unfortunately for ‘Blessed,’ that’s not going in his favor. ‘Showtime’ has crazy power and technique, and although Holloway can bang and has speed, I feel his standing style will play against him tonight. I’m going to pick Anthony Pettis for the decision win. 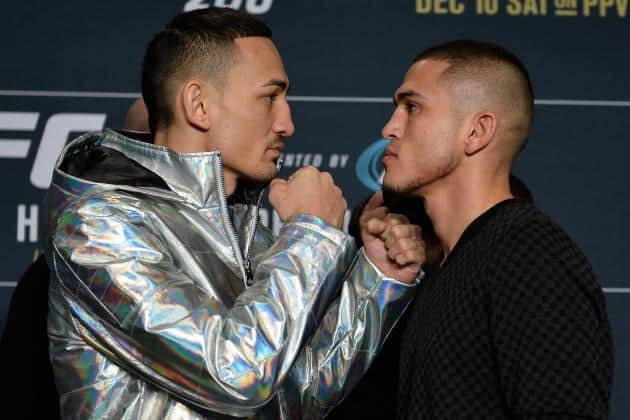 In my opinion, Holloway is the clear pick in this 145-pound interim title bout and for good reason, as the Hawaiian has rattled off an incredibly impressive nine straight wins. He’s proven to be well-rounded fighter and he’s also proven that he’s without question one of the best fighters in the division, but I have a strange feeling about this bout. For some reason, I’m going to go with my gut and side with Pettis. “Showtime” has only one two of his last three bouts, but his featherweight debut was impressive to say the least, as he dismantled top-10 contender Charles Oliveira last August. Pettis’ submission game has always been underrated in my opinion, and his striking has always been second to none. I’m expecting a firefight. Pettis by decision. This is a fight that could and should be somewhat of a throwback – a knockdown, drag-out brawl where both fighters don’t seem to like each other that much. 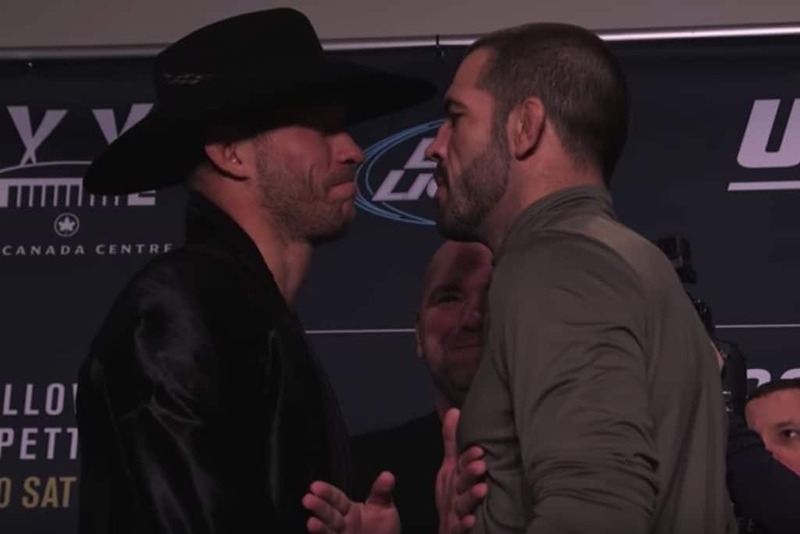 However, there are some sizeable distractions in place for both competitors, as Cerrone’s involvement with the MMAAA as a founding member and his nearly complete flip flop that followed can’t have his mind only focused on fighting. For Brown, his back is against the wall in a big way after a recent down streak, and it seems he has perhaps generated some beef that seems a bit forced in order to pump himself up for a must-win fight. Time will tell if that helps or hurts him, but I can’t look past Cerrone’s recent results compared to Brown’s. Cowboy by TKO round two. Cerrone is one of those fighters who could beat most top ranked fighters if he’s on point. Arguably Matt Brown could be lumped in to that debate, but I feel ‘Cowboy’ has the greater potential in this fight. Although Brown tried some pre-fight mind games at the staredowns, I don’t think he’ll have Cerrone off his game. The Greg Jackson product has the smoother and more technical striking, and also the defensive skills and footwork to avoid getting in an all-out brawl. Still a tough pick, and it could go the other way, but my gut tells me ‘Cowboy’ for the second round TKO. Brown was once a surging welterweight contender on a solid win streak, but he has since lost four of his last five with his last two losses coming by way of stoppage. Now, Cerrone is the red-hot 170-pounder, as he’s won three straight in the division, all by way of finish. I expect him to continue his streak in Canada and in impressive fashion. Cerrone by second round TKO. NEXT: UFC on FOX 22 Predictions: Will PVZ Keep Rising?